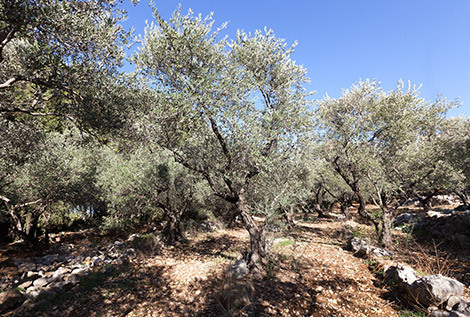 In our quest to source the best olive harvest for our extra virgin olive oil, we looked beyond our plantations in Bdadoun. Our mission includes doing our part to develop rural communities in Lebanon. This is why we set a high standard for olive culture and strive to help families that rely on agriculture as the main or sole source of income. At Adon & Myrrh, the amount of care we dedicate to harvesting olives is nothing short of the attention paid to grapes destined for a superior fine wine. A good harvest is vital to producing extra virgin olive oil of good quality, especially given the calibre we aspire to offer you each and every time. This is why we agree with every farmer on a harvest date that ensures olives have reached optimal ripeness as this differs from one region to another. Olives should still be green at harvest to produce oil of exceptional quality that also boasts a fruity essence, natural pepperiness and great health benefits. 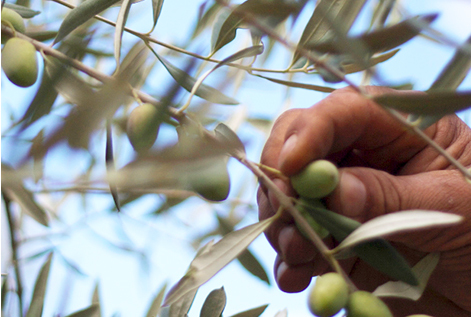 Our olives are exclusively handpicked. Our orchards being harvested is a feast for the eyes: olives fall onto nets spread around the trees, they glisten like droplets of jade and never touch the ground. As a result every olive that goes into the making of Adon & Myrrh is immaculate. In special plastic crates we take our prized harvest to our state-of-the-art mill where olive oil is extracted within 24 hours of harvesting, minimizing oxidation, and resulting in the best extra virgin olive oil ever.